In 1934, the fledgling Chinese Communist Party and its 200,000 soldiers were forced off their bases by Chiang Kai-Shek and his Nationalist troops.They walked more than 8,000 miles over mountains, grasslands, and swamps, ending up in the remote, barren north of China. Only one-fifth survived. They went on to launch the revolution that transformed China, and the Long March was forever enshrined as the defining moment of modern Chinese history. It also served as potent propaganda for Mao and for the Communist revolution. Seventy years later, Sun Shuyun set out to retrace the marchers' steps and to seek out and interview the aged survivors. The Long March is the stunning narrative of her extraordinary expedition. The rugged landscape had changed little. Shuyun's greatest difficulty was wrestling with the heroic images of the march she, and every Chinese citizen, had learned as a child. On each step of the journey, she uncovered shocking stories of starvation, disease, and desertion, of ruthless purges ordered by party leaders, of the mistreatment of women, and of thousands of futile deaths. Many who survived the march reported that their suffering continued long after the 'triumph' of the revolution, recounting tales of persecution and ostracism that culminated in the horrific years of the Cultural Revolution. 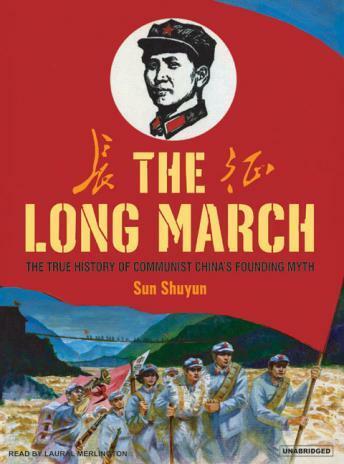 The Long March is at once a gripping retelling of an amazing historical adventure, an eye-opening account of how Mao manipulated it for his own purposes, and a moving portrait of China past and present.